Wonder if they will be Screening "HOUSE OF NUMBERS"? The DC Center will be hosting a second planning/interest meeting for the Gay Men's Health Summit 2012 at 6PM on Friday, May 20. We will be discussing a variety of different issues from locational logistics to what we want the event will look like more broadly. We will discuss how everyone has been moving along with their assigned goals and tasks, and how to move forward. We hope to see you both at the interest meeting and at the Summit itself! 30 Apr-WICHITA – Three months after USAF officials convicted Technical Sergeant David Gutierrez to eight years at Fort Leavenworth Federal Penitentiary, OMSJ’s HIV Innocence Group has filed motions for a new hearing. OMSJ has uncovered disturbing evidence that implicates USAF Maj. James Dorman and Capt. Aaron Maness with the deliberate suppression of favorable evidence that Gutierrez was neither HIV-positive and that his treating physician, Donna Sweet MD, failed to diagnose Gutierrez and voluntarily testified against him at his trial. Although prosecutors made no attempt to prove that Gutierrez was infected with HIV, Dorman, Maness and the hearing officers never raised any question about his alleged infection (see affidavit). Air Force officials have thirty days to respond to the charges. NBC affiliate KSN is covering the story. The 'Berlin Patient': Demystifying AIDS? In 1990, at the International AIDS Conference held in San Francisco, Dr. Luc Montagnier, who had first isolated the virus, gave a startling announcement. Against what might be considered his own interest, he stated that HIV might be benign. 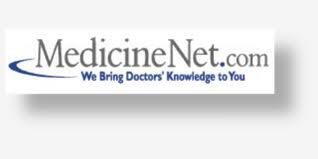 The conventioneers took little notice and continued to discuss new antiretroviral medications. Nevertheless, the U.S. government and medical establishment were fully invested, financially and politically – and the AIDS industry was born. On Apr. 28th 1984, the human immunodeficiency virus was defined as the pathogen responsible for AIDS at a press conference held in Washington D.C. This statement was given by Margaret Heckler, Secretary of Health and Human Services and the man who claimed to have discovered the virus, Dr. Robert Gallo. Heckler announced that a vaccine was expected in the next two years as well as a test capable of identifying the virus that would be developed and made available to the public within the next six months. The U.S. Department of Health and Human Services (DHHS) was already working on a patent for this test, a patent that would earn the department over $100 million per year for decades, of which Gallo would receive a sizeable reward. Since then, what has been referred to as HIV/AIDS has claimed millions of lives, billions of dollars in research funds, and been called the largest epidemic of our age. The ‘Berlin Patient’, Curing AIDS? Curing HIV? The ‘Berlin Patient’: Demystifying AIDS? Vienna Review is by and for budding journalists, and it is very heartening to see such evidence-based writing in this type of publication. HIV Cured with Stem Cells – What about AIDS? As the title suggests, Crowe points to the need to distinguish between “AIDS”, which does exist albeit in differently defined guises over the years, and “HIV”, which may or may not exist but certainly doesn’t cause AIDS. That essential distinction is continually and deliberately blurred by mainstream’s vigilantes, perhaps most obviously in their propaganda against “AIDS denialism”. How is not a contradiction? "A new study ...shows that interventions to promote healthy behaviors, including eating more fruits and vegetables, increasing physical activity..."
"Since medications being used to treat HIV, particularly highly active antiretroviral therapy (HAART), have been successful, they are now living longer and are at risk for developing other chronic diseases, such as cardiovascular diseaseand diabetes." so taking HIV and AIDS drugs help you develop more Diseases and that a good thing because you live longer. 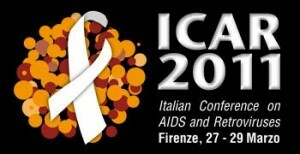 On March 27–29, 2011 Firenze, Italy, hosted the Italian Conference on AIDS and Retroviruses, a conference under the High Patronage of the Italian President of the Republic, the Ministry of Health, the Region of Tuscany, the Province of Firenze, the Municipality of Firenze, the Universities of Firenze and Rome, the National Scientific Societies, the Public Health Service, several organizations involved in the fight against AIDS and, most important, the International AIDS Society (IAS). This conference precedes the IAS conference that will be held in Rome in July. It is well known that for more than 25 years the opinions of so called dissident scientists such as Professors Peter Duesberg and Henry Bauer were never allowed in mainstream conferences and any voice questioning the role of HIV in causing AIDS was systematically shut off. Associations for the scientific reappraisal of the HIV/AIDS hypothesis such as Rethinking AIDS were never invited or even allowed to participate. 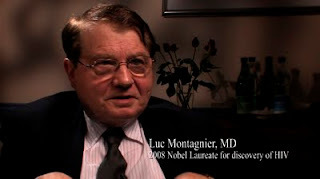 Luc Montagnier (C.Restif@unesco.org) is a French virologist and joint recipient with Françoise Barré-Sinoussi of the 2008 Nobel Prize in Physiology or Medicine for the discovery of the HIV. In 1982, Montagnier headed a team at the Pasteur Institute in Paris, (which included Francoise Barré-Sinoussi ), that was asked for assistance in establishing the possible viral cause of a mysterious new syndrome, AIDS. Willy Rozenbaum, a clinician at the Bichat Hospital in the French capital, had been openly suggesting that the disease could be caused by a retrovirus. In January 1983, he sent a lymph node biopsy from one of his patients to Montagnier's team at the Pasteur Institute. 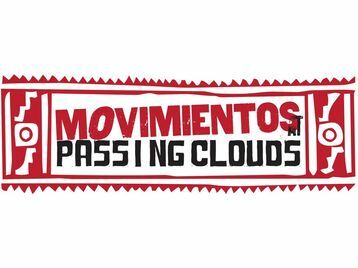 Cine Matters at the Community arts centre Passing Clouds in Dalston, North London, will be screening House of Numbers on Sunday 1st May 2011. 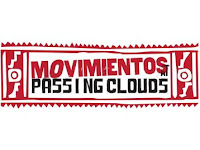 Passing Clouds is a thriving and busy community centre, located here. The exact address is 1, Richmond Road, London E8 4AA, just off Kingsland Road, behind The Haggerston pub. If you find this, you're not far away. There's also a bar inside the community centre though so you may prefer to imbibe in the slightly more hippy environment of Passing Couds itself. The nearest stations are Haggerston (330m) Dalston Kingsland or Dalston Junction, and buses are 38, 55, 67, 149, 242, 243. Note: Not all those stations are visible on Streetmap.co.uk, but they can be seen on the overground section of the london tubemap, available here. The screening will start promptly at 7pm and afterwards there will be a discussion panel. Rapping Grannies speak out on lost HIV/AIDS bill that make it easier to send cheap, generic HIV/AIDS drugs to Africa. LETS GIVE THEM MORE DRUGS. A local group of concerned grandmothers took hip-hop music back to its roots as protest music Saturday morning. The One World Grannies re-wrote and performed K'Naan's hit "Wavin' Flag" to raise their concerns about losing a bill that would have made it easier to send cheap, generic HIV/AIDS drugs to Africa. Bill C-393, sponsored by Ottawa Centre MP Paul Dewar, was passed 172-111 in the House of Commons in March. Recently, Visual Science Company, led by Ivan Konstantinov, created the most detailed and accurate 3D model of the HIV virus to date. The model includes 17 viral and cellular proteins and 160,000 lipid molecules of 8 different types, with all components in proportion with a real HIV particle. The orange structure depicts the actual genome and the gray matter represents the parts of the virus acquired when contact is made with a human cell. Images were created in approximately 3 months, based on data available in over 100 leading science journals and publications. “My team considers such 3D models as a new way to present and promote scientific data about ubiquitous human viruses. We attempt to show viral particles as close to the real version as possible, offering the scientific community and general public - a better understanding of the complexity of these structures,” adds Konstantinov. Ongoing work similar to Konstntinov’s, not only increases understanding and knowledge, but also provides additional fuel for researchers striving to find a cure for HIV-AIDS. New research suggests that HIV-infected patients are most likely to stay clear of AIDS longer if they start drug therapy when their immune systems are still relatively strong. However, starting treatment earlier, compared to waiting, didn't affect dying from AIDS. "There wasn't a clear benefit in terms of preventing death" by prescribing the drugs before some guidelines suggest, said Dr. Keith Henry, director of HIV clinical research at Hennepin County Medical Center in Minneapolis and co-author of a commentary accompanying the study, published in the April 19 edition of Annals of Internal Medicine. Reuters) - Gilead Sciences Inc's (GILD.O) first-quarter profit fell a deeper-than-expected 24 percent as U.S. state-funded purchases of its core AIDS drugs were lower than expected and royalty revenue slipped. The company's shares dropped more than 3 percent in after-hours trading. Sales of HIV drug Truvada rose 2 percent to $673.1 million, while sales of Atripla rose 7 percent to $744.5 million -- but the totals fell short of respective average analyst estimates of $688 million and $793 million. Gilead said U.S. sales were hit by temporary cutbacks at state-funded AIDS drug assistance programs (ADAPs) in Florida and Texas. China has abolished three controversial regulations that required overseas Chinese citizens not only take an HIV test but also that its results be broadcast to all relevant health authorities. The General Administration of Quality Supervision, Inspection and Quarantine of the People's Republic of China on Tuesday published new regulations without either of the offensive HIV/AIDS clauses, the Beijing Morning Post reported. The move follows a regulation permitting foreigners infected with HIV to visit China that was approved in last April, according to the Xinhua News Agency. The regulations had been lambasted online for intervening in the basic civil rights of Chinese citizens, said a consultant to government policymakers on issues including HIV/AIDS prevention since 1990. * The researchers do caution that, previously, two well-executed trials of Acyclovir, an effective, safe, antiviral drug for herpes, did decease the occurrence of genital herpes infections but failed to prevent transmission of HIV-1 in African study participants. Neville Hodgkinson talks with "How Positive are you? 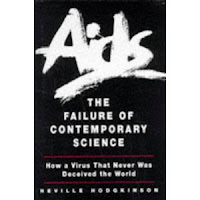 His book "AIDS: The Failure of Contemporary Science"
Neville Hodgkinson is a British journalist who began reporting on AIDS in the mid-1980s as medical correspondent for the Sunday Times of London. Between 1992 and 1994, as the newspaper’s science correspondent, he wrote a series of reports questioning the link between HIV and AIDS. His book AIDS: The Failure of Contemporary Science was published in 1996 by Fourth Estate. He has continued writing articles of dissent from the single pathogen theory of AIDS for publications including Continuum, New African, Mothering magazine, The Journal of Scientific Exploration, the Spectator and The Business Online. In this hour-long discussion with David and Terry, Neville describes how he turned from being a promoter of “HIV=AIDS” to a critic, and how this latter position eventually forced him out of the Sunday Times. He shares his thoughts on this experience, and how he dealt with many different personalities, both in the UK and elsewhere, who both supported and condemned his work. The AIDS Drug Assistance Program (ADAP) Crisis continues. In fact, it is getting worse. As of March 31, the waiting list for ADAP has increased to7,745 people in 11 states. (The number was 5,100 in 10 states when we first began reporting about the ADAP Crisis in January.) That means right at this moment, there are close to 8,000 HIV-positive individuals waiting for financial assistance to pay for their HIV medications. They are being denied coverage for their life-saving medications due to budget cuts on the federal and state levels. They are now at an even greater risk of seeing a drastic decline in their health while they wait for their medications. That's part one of the bad news. Part two is more disheartening. It seems that one pharmaceutical company (Pharma) has responded to the crisis ... by raising the prices of their HIV/AIDS medications. Seems they have a different definition of crisis. Gilead Sciences made the decision to raise the prices of their top HIV medications. The cost of Atripla went up by 5.1 percent. Truvada and Emtirva went up by 7.9 percent. All of these medications also experienced increases within the last two years. If you’re a gay man (this ad was published in a gay weekly) you are encouraged to take AIDS drugs if your T cell count is under 500. Or, what the heck, even above 500. The side effects, this ad by the manufacturer of Truvada assures us, are now “more manageable”. You know, liver failure, liver transplant. Kidney failure, kidney transplant. Why worry, be happy, take your pills every day. As far as we know this ad has not appeared in any magazines for straight, white folks. A poster to promote AIDS awareness ahead of World AIDS Day in Beijing. A highly contagious AIDS-like disease is spreading in China, However, HIV tests come up negative. debilitating, and AIDS-like, but repeated tests for HIV have come up negative. Those facts are reflected in documents issued by the Italian Ministry of Health. By 2009, the Ministry had not required notification of cases of “HIV” — “HIV” was not regarded as a threat to public heath — and AIDS could be diagnosed in absence of “HIV”. 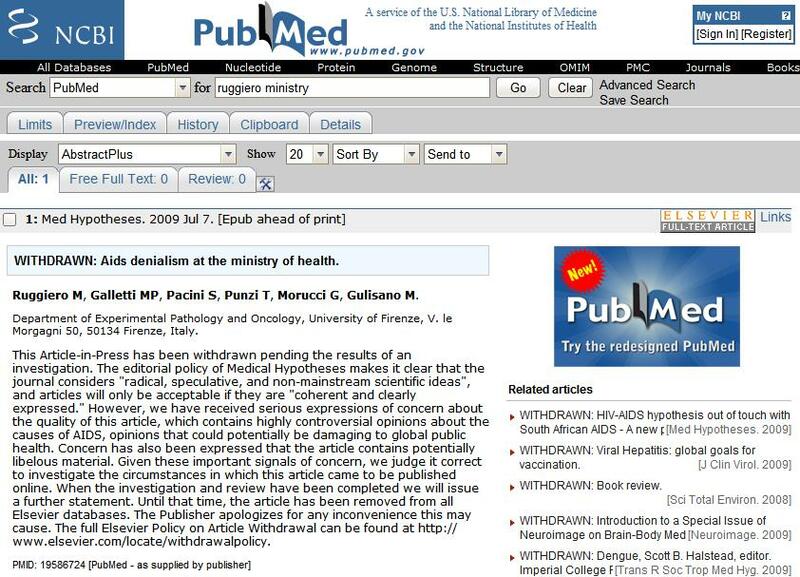 Thus the Ministry did not accept HIV/AIDS theory, and this was described appropriately as “Aids denialism at the Ministry of Health” by Ruggiero et al. in Medical Hypotheses, accepted 3 June 2009 and published on-line shortly afterwards. That the Italian Ministry of Health does not regard something as a threat to public health was evidently seen at Elsevier as a potential threat to global public health.